We also provide a qualitative Coriander Honey, which is produced from the most trusted and reliable farmers. Backed by the team of skilled professionals, we are offering a quality approved array of Coriander Honey. 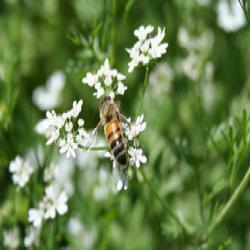 The Coriander Honey we offer is rich in taste and known for its freshness. Safe to consume these products are made under the skilled expertise of our professionals. Banking on our enriched industry experience, we are able to supply Coriander Honey. We don’t export and sell honey as just Honey. We sell it with the information from which plant it is collected from. Such as Drumstick, Coriander, Glory lily and Mango etc. A customer who provides his hard earned money to buy honey has all the right to know form which flora the honey is collected from. Coriander (Dhaniya Honey) honey is whit golden amber color, specific taste and mild aroma, produced from the nectar of beautiful white blossoms of coriander. 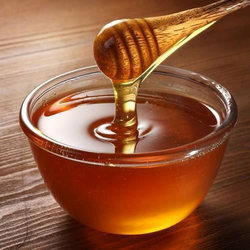 The honey may having immune-prophylactic, antioxidant and fungistatic properties, hence imminent to increase the efficiency of the human immune response. We are a top-notch organisation, engaged in providing Coriander Honey. We are amongst the most reputed names in the industry, offering Coriander Honey. Prasari Honey Bees Pvt. Ltd.